Zoos, including aquariums, are hot points for discussion and debate for people unyieldingly pro and con about their existence. I'm not a fan of zoos and would like to see them phased out, however, in the "real world" this isn't going to happen anytime soon. So, of course, as long as zoos exist, we are obligated to give their residents, whose freedom is severely compromised in many different ways, the very best lives they can have. Treating captive animals with respect while working to close down zoos is not an incompatible goal. A recent essay in New York Magazine by Benjamin Wallace-Wells titled The Case for the End of the Modern Zoo is a very thoughtful essay that should be widely read and discussed. This piece was motivated by an essay that appeared in the New York Times by Alex Halberstadt called Zoo Animals and Their Discontents, also well worth reading. Some people will love these essays and others will write them off, but they do raise many of the important issues that need to be openly discussed. Mr. Wallace-Wells notes up front that he loves zoos. He writes, "My daughter is not quite 2, and the zoo brings out all of her best and least complicated emotions–awe, delight, empathy." Yet, he advocates closing them down. I think these fabrications [of exhibits] comprise a great deal of what zoos depend upon, and what has begun to fail: a kind of double illusion, in which the people are convinced that they are seeing animals in something like their natural state and the animals, most of whom have never lived in the wild, are convinced that they are at home. Even as zoos grow more expansive and progressive, it is growing a bit more difficult to maintain the human part of that illusion, simply because technology allows us a much more direct view of the wild: In the first two years of her life, my daughter has seen more of the savannah, via National Geographic's website, than I did in the 30-plus years before she was born....But the more important breakdown of the illusion may be on the animal side. A giraffe who freaks out about men with large cameras, a brown bear whose cage door is the subject of his obsessive compulsive disorder, a 5,000-pound killer whale who shows her trainer who is boss by dragging him underwater for just about as long as he can live, before letting him go–these episodes seem like something more complicated than simple errors of confinement. It is hard to avoid the conclusion that in some way the animals understand that the world around them is an artificial one, that these phobias and psychotic episodes represent reactions to that artifice, or subversions of it. Which means that the central illusion of the zoo is no longer holding. The animals know. 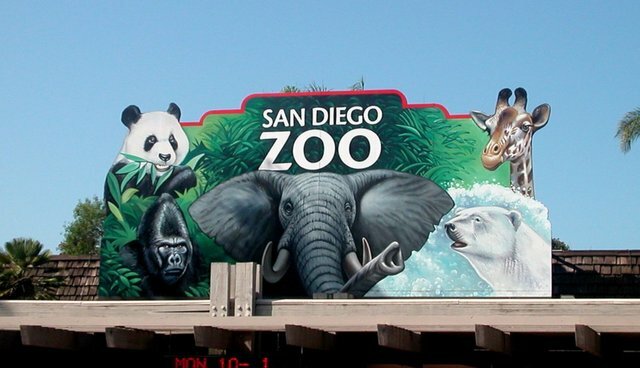 It's clear that despite their claims, zoos do not contribute much to education and conservation in the long run or in any practical sense (see this piece also). As I've noted before, the "proof" provided by this latest study is a mixed bag. Many people have jumped on the bandwagon claiming something like, "See, we were right and zoo critics were wrong, zoos do educate people". However, the increase "in respondents demonstrating some positive evidence of biodiversity understanding" as noted in the report (my emphasis on the word "some") was only slightly more than five percent of a very large sample and in no way does it show that what people learn about biodiversity really means anything at all about how they then contribute to future conservation efforts. "'Some positive evidence' in this case would indicate knowing that biodiversity is related to biological phenomena with no evidence of understanding the breadth or variety of plant and animal species, the interdependency of species, the genetic value of biodiversity, the importance of biodiversity for humans or the need for biodiversity conservation." [I placed the emphasis on the word "no"]. So, what the people learn is very limited in scope in terms of what the new knowledge means in any practical sense. I'm all for knowledge for knowledge's sake and I'm glad some people felt they learned that "biodiversity is related to biological phenomena". However, learning about biodiversity and perhaps some about the lives of the animals who are locked up in cages without learning about the "need for biodiversity conservation" doesn't convince me that zoos are really doing much at all. Just because people, including youngsters, leave zoos with some new knowledge or are excited to have seen animals with whom they weren't familiar or about whom they previously knew little, does not mean that they do anything for the animals or their natural homes in the future. I hope that both of the above essays garner wide readership. I also found the comments to Mr. Wallace-Wells's essay to be enlightening and hope they too will be factored into ongoing discussions and debates. Anthrozoologists and conservation psychologists should find these essays to be full of ideas for further research. As I wrote above, as long as zoos exist we are obligated to give their residents, whose freedom is severely compromised in many different ways, the very best lives they can have. Treating captive animals with respect while working to close down zoos are not incompatible goals.